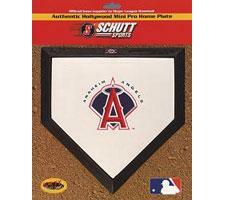 Anaheim Angels Mini Home Plates by Schutt | Sports Memorabilia! Anaheim Angels Mini Home Plates by Schutt. They come with authentic MLB logos. Dimensions are 9 ¾ x10.